C# Simply Master in Less Than a Day - This video course is specifically designed for absolute beginners. You do not have to be a Developer or Programmer to understand this course. Anyone can learn and master the well paid skills which are highly sought by employers all over the world. The time you spend on learning this C# course will be a real investment for your professional career. Even though I have developed the course keeping beginners in mind, this course can also be very useful for any Developer who wants to master C# programming with ease. Unlike other courses you find on the web, this course will give you the logical reasoning for why you are actually writing a line of code. The logical reasoning for whatever you do in programming is vital so that you do not have to memorise it all. This also becomes handy when you develop rich, robust and scalable applications. 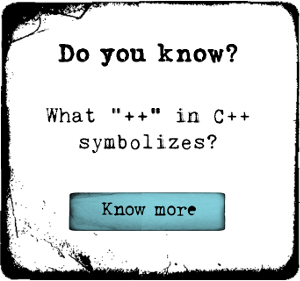 C# is an Object Oriented Programming Language. Whenever someone tries to learn an Object Oriented Programming Language, it is very common for them to get distracted due to the complexity of the language. I have broken this barrier by simplifying it to a greater extent. I have ordered the Lectures in a way which any one can easily understand the C# Language. Almost all the aspects I have covered in this series can be applied straight away when developing real world applications at your work place. This course will help you to do better at job interviews as well. You have come to the right place. You are with the C# Guru who will make sure you learn and master C# Programming.